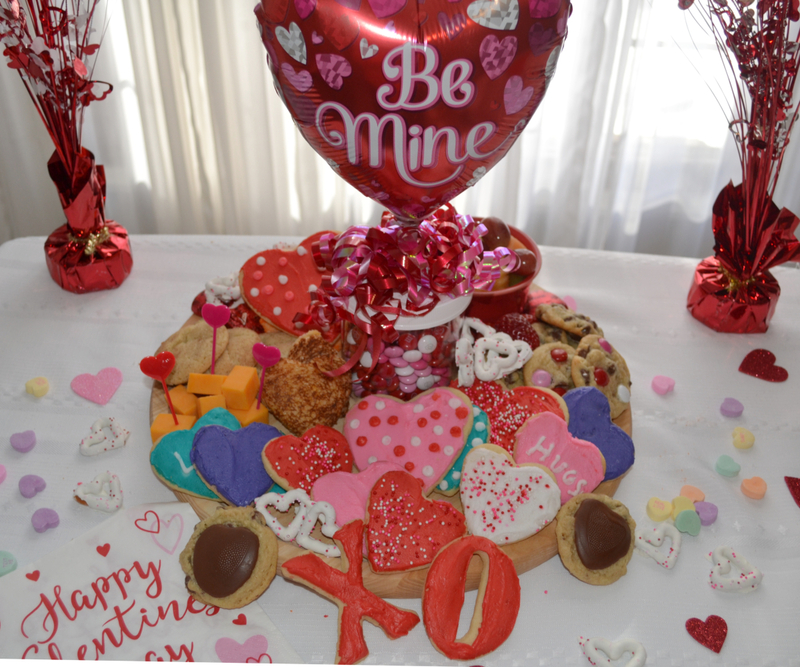 Although the board looks like it only has sweet treats on it, I did put grilled cheese sandwiches, cut out with a heart shaped cookie cutter, and cheese chunks on it. You need savory and sweet! There are also fresh fruits and veggies, with dips, on the back side. The board can be created with anything you have available that is colorful and that your children like to eat. 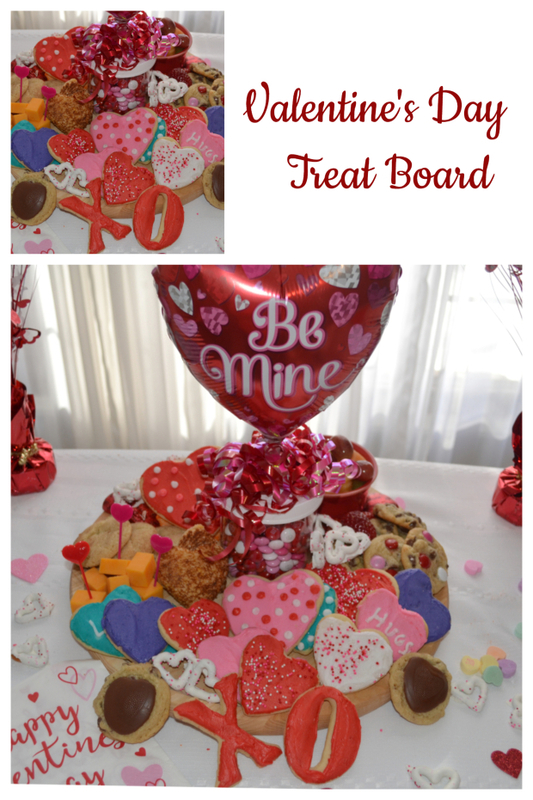 To create a treat board, start with a wooden cutting board, or any tray that you have. Use a centerpiece that will stand out above the other snacks. I found this clear plastic container at WalMart for $5. It has ribbons and a balloon on the lid. All I did was to fill it with Valentine’s Day M&M’s. After you place your centerpiece, start adding sections of different finger foods. Some other ideas of foods to add are sandwiches of any kind, pretzels, popcorn, goldfish, and mini pizza bites. I had freshly baked cookies, so they did fill up a lot of my board. 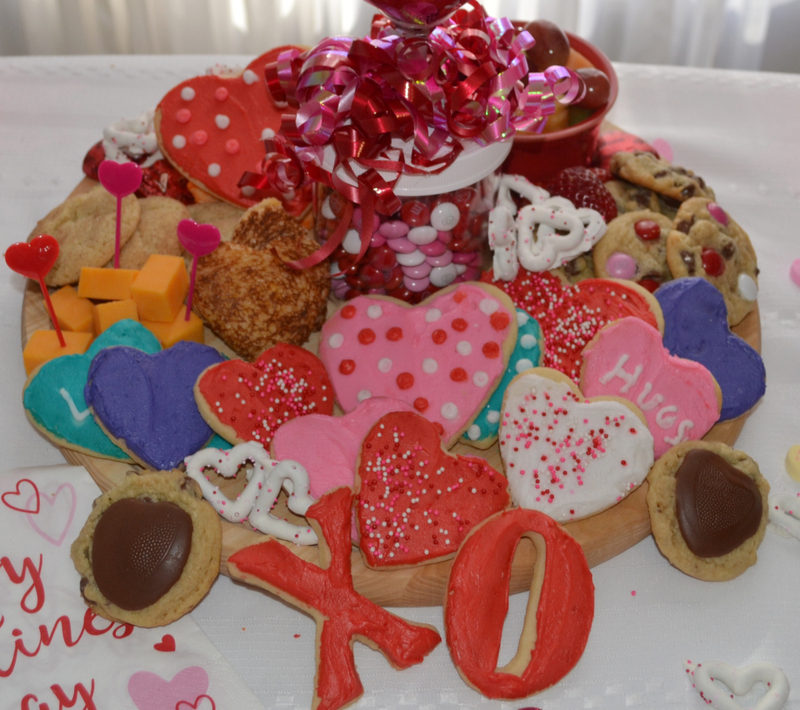 This is just a way to present your cookies with some special touches. 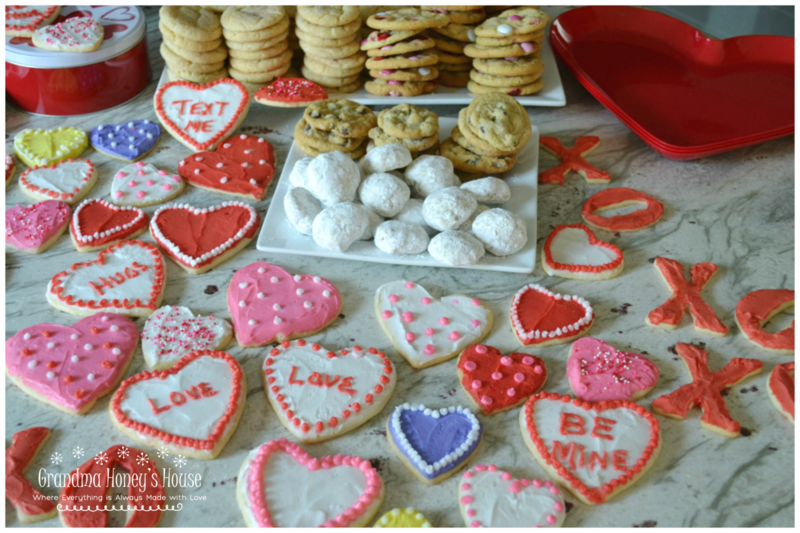 HERE is the link to my sugar cookie recipe that I have used for over 40 years. Serve this at any get together and enjoy the compliments, especially from the children in your life.